BOCA RATON, FL, USA, July 10, 2018 /EINPresswire.com/ -- Boca Raton, FL – July 10, 2018 – Roobar®, a delicious, organic, raw superfood bar made simply from dried fruit, raw nut and superfoods, is now available in the United States. The concept behind Roobar is simple, four to five ingredients come together to make a great tasting, wholesome bar. Roobar products begin with the highest quality plant-based organic ingredients and are packed with superfoods with no added sugar. The name Roobar comes from a European slang term for “Raw Bar”. No heat is used in the creation of the bar meaning natural nutrients, vitamins and enzymes are preserved. Roobar is available in the US in eight innovative flavors such as Chia & Coconut, Pineapple & Baobab, Cherry & Maca and Goji & Coconut. 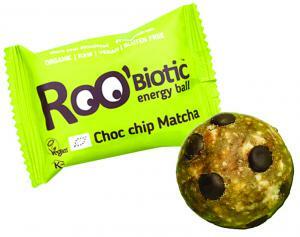 Roobiotic Balls are also available and offer all the great taste and goodness of Roobar along with probiotics for immune & digestive health. They are available in five flavors such as Matcha Choc Chip Mint, Cherry Cashew Acerola, Cacao Brazilian Nut Maca, and Pineapple Mango Ashwagandha. Roobar is perfect for anyone looking for a better-for-you snack with great taste. Roobar is convenient and delicious, making it ideal for athletes, anyone on-the-go and those living a healthy lifestyle. Because it is vegan, plant-based, gluten-free, Kosher and non-GMO, Roobar is also a great option for those managing special dietary needs. For more information about Roobar, please visit Roobar.com. To stay up to date on other news and information from Roobar like the company's Facebook page, and follow Roobar on Instagram. Roobar® is an innovative organic raw bar with a very simple recipe of superfoods, dried fruits and nuts. 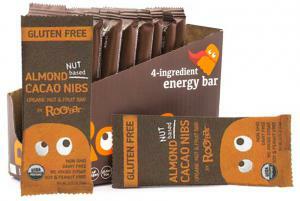 Roobar is vegan, raw awesomeness with no added sugar and no gluten. Roobar products begin with the highest quality plant-based organic ingredients and are packed with superfoods to boost mind and body with maximum nutrients. Roobar products are Kosher, certified organic, vegan, all natural, gluten-free and non-GMO.